Escola Vedruna Tona has been in the PAC for three years. They have shared with us their thoughts on the program, both from the tutor’s and the Conversation Assistant’s perspective. Thank you, Míriam and Sofia! 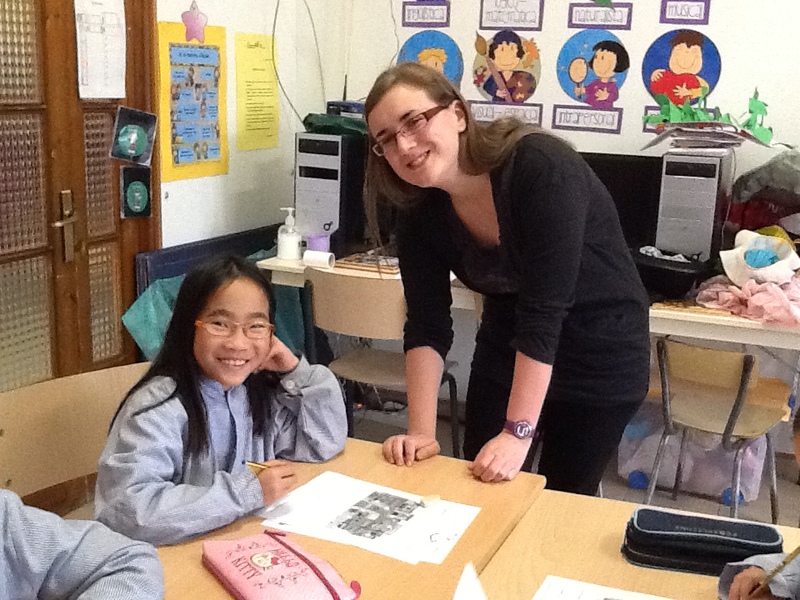 I’m Sofia and I am the conversation assistant at Escola Verdruna Tona,a small town in the heart of Catalunya. I work with both Primary and ESO students, so my days are always varied and interesting! The kids were a bit shy speaking to me at first, but they soon got used to me and now they really seem to enjoy speaking English!! Sometimes I will take groups outside to do grammar or conversation activities, and other times I am with the whole class, explaining things about life in the United Kingdom. I also help out with I.T lessons, as they are taught in English at this school. This is fun, as the kids don’t realise they are working and therefore are always happy to be there! I also get to join the children on some school trips: I have been to the theatre, a roman museum and Barcelona so far! The whole school and teaching staff are very friendly and I really enjoy working with everyone here. During my first three months I lived with a teacher’s family. They were lovely and really made me feel at home, for example I would go to the grandparents’ house for Sunday lunch, or play football with the children. Their flat was in Vic, a city close to Tona. This was useful as I was able to meet the other Conversation Assistant there and got to know other people- we are now really good friends and spend most our weekends exploring Barcelona or the restaurants in Vic. I have since moved to Tona itself, which is a lot quieter. Sadly, the buses don’t run very often, so I only see my friends at the weekend, but I am keeping myself busy with Pilates and Catalan classes. Overall, I’ve really enjoyed the scheme, as I have met a lot of lovely people and have learned so much from this experience. Before I came, I had no knowledge of Catalunya, now I can say that I have truly experienced life in Catalunya.